Napoli, Italy’s third-largest city is a city of contrasts – both modern and ancient, impressive and yet dilapidated, cultured and chaotic. Scratch beneath its oft-misunderstood and sometimes-grimy surface and you’ll find a place of great art, fine food, welcoming people and a veritable archaeological treasure trove. 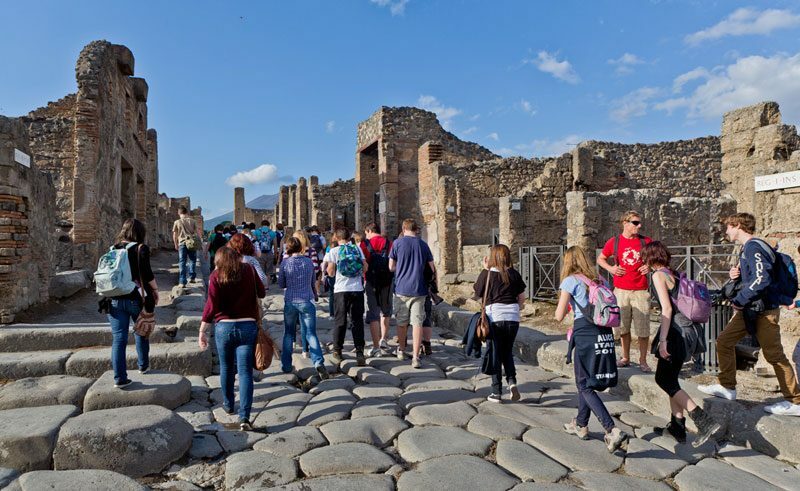 Add to this the stunning views and geological highlights, such as the dominating presence of the brooding Mount Vesuvius, and you have the ideal place for an unforgettable school trip. 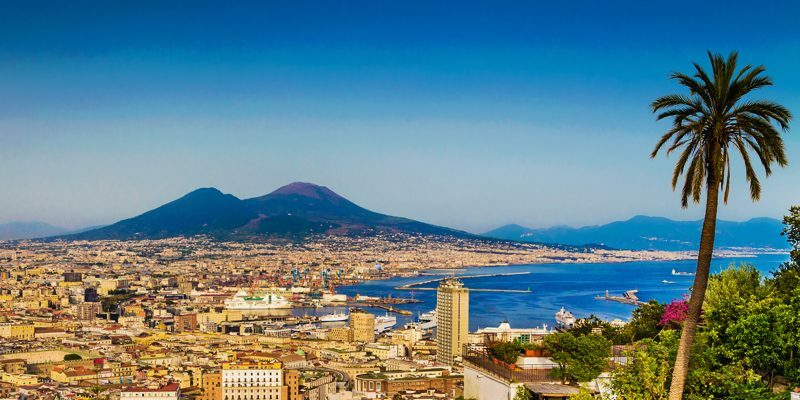 Naples has been somewhat ignored by the tourism industry, perhaps because the city is around the corner from the quaint beauty of Sorrento and the Amalfi Coast. However, while you may find some neighbourhoods have undesirable elements (which major city doesn’t?) it is an excellent place, with an often overlooked charm. Naples has art in abundance, both classical and contemporary, including a blossoming street art scene. On a walking tour of the Centro Storico, you’ll see the contrast in full effect, with Renaissance architecture juxtaposed with ultra-modern art, such as Banksy’s Holy Virgin in Piazza Gerolomini. Visit the Opera house, the spectacular Cathedral, the Chapel Sansavero museum, and more churches and religious museums than you can possibly see in one day – Naples has more than 500 churches, both historic and modern. The food here is something to shout about, and as the birthplace of the humble pizza, you are sure to taste some of the best. 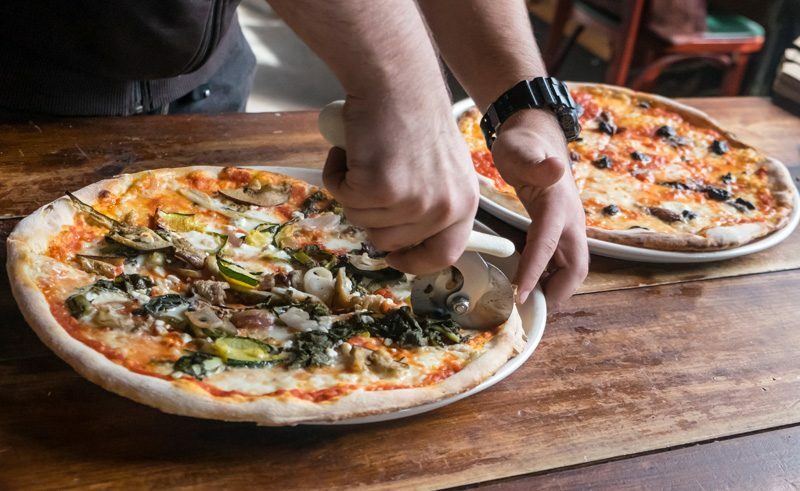 You and your students can make your own pizza, with the advice of an expert ‘pizzaiolo’, at Pizza a Metro in Vico Equense – a very hands-on way to enjoy lunch. Make sure to take the funicular cable car to the Vomero district – the panorama of the bay is worth the trip alone – to the try some deep-fried donuts called zeppole and mouth-watering arancini. Whilst up in Vomero, visit the 15th century Certosa di San Martino monastery to see iconic frescos and spectacular views of Vesuvius. Many of Naples’ celebrated seafood dishes are cooked fresh from that morning’s catch, straight from the Tyrrhenian Sea. So, visit the old fishing village, Borgo Marinari, just below the impressive Castel dell’Ovo. Legendarily, the castle is said to have been named by Roman poet Virgil, who buried an egg where the fortress now stands and warned that if the egg broke, the castle and ultimately Naples, would fall. His prophecy seems to have been a bit *ahem* scrambled, as both the castle and the city still stand. 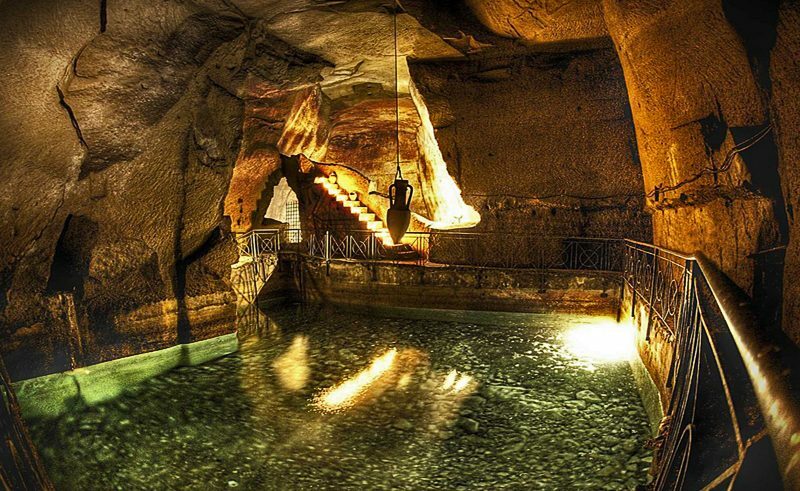 A visit to Naples wouldn’t be complete without an excursion underground, as there is a veritable city underneath the city. 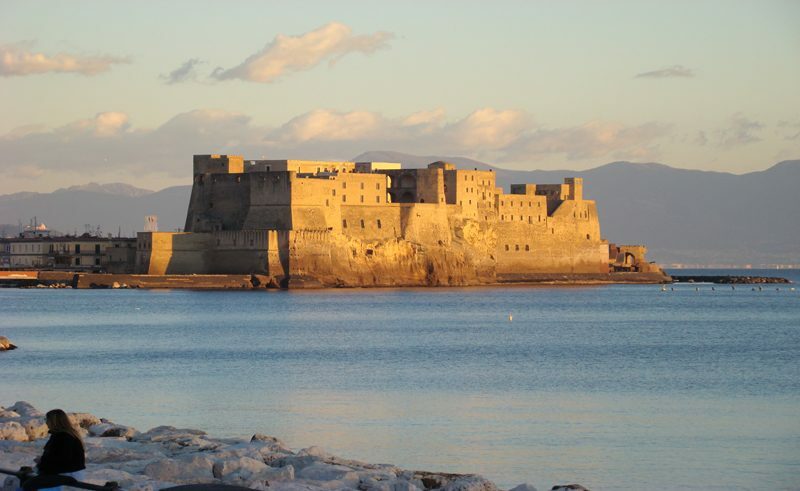 Naples is built upon volcanic rock, making it very easy to dig tunnels and passageways into the porous yellow tuff. 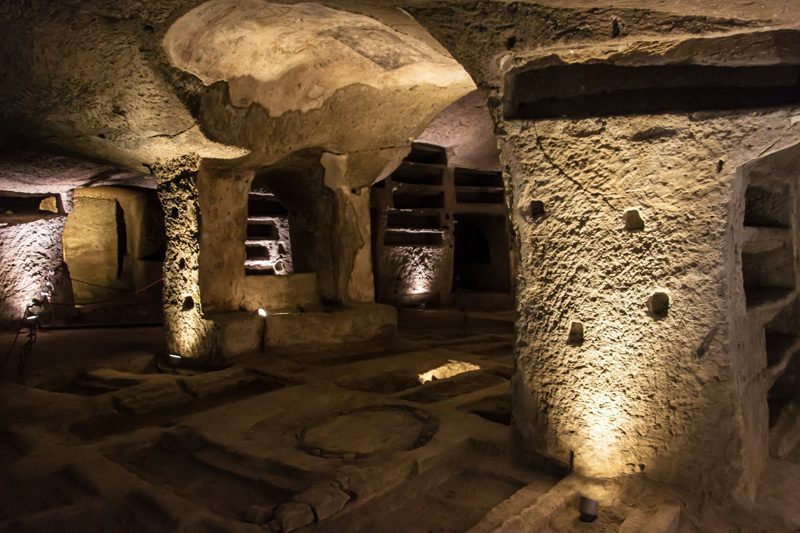 Not only are the tunnels dug from this, but the Roman’s used it to build their structures above ground too, which is why Naples has an oddly yellowish hue. Over the centuries, tunnels, catacombs, hiding holes, and secret passageways fit for a king, have been hewn directly into the rock, creating a labyrinthine maze under the city. Take a guided tour of this captivating space, which is sometimes necropolis, other times sanctuary, which is not just geographically interesting, but also historically and archaeologically important. The most recent studies (like the brilliant BBC documentary) have mapped the tunnels using 3D mapping technology putting all the pieces together, proving that there are miles upon miles of passages under the city. The many uses of these tunnels are fascinating in their own right, from romantic meeting spots, Roman mines and Mussolini’s car graveyards to bomb shelters, burial grounds for early Christians – complete with skulls – and access to houses for enterprising Renaissance thieves. Another excursion your students won’t want to miss is the National Archaeological Museum of Naples, which has one of the best collections of both ancient Greek and Roman antiquities. They exhibit everything from beautiful glass and mosaics to sculptures and fine jewellery. 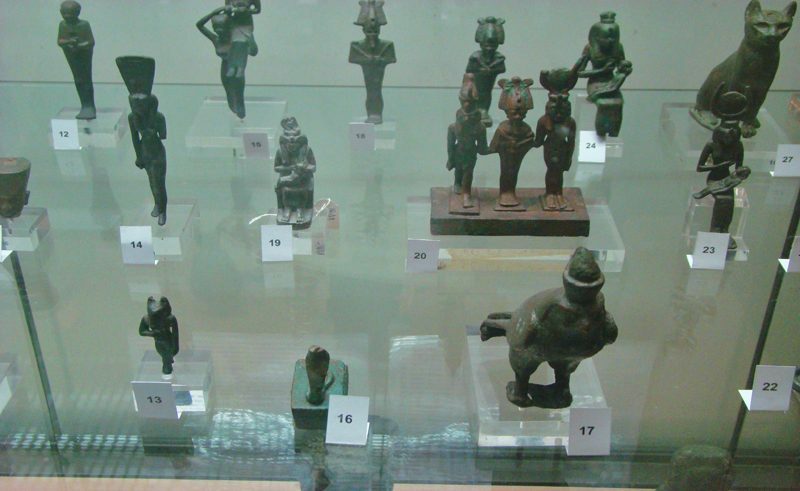 Everything is very well preserved, due to the artefacts being discovered at the nearby ruins of Pompeii and Herculaneum. The building was originally a cavalry barracks, then part of the university, it was afterward made into a museum by the Bourbon king Charles II, to house his vast collection of treasures – both inherited and looted from the ruins. You can also see the hugely impressive Toro Farnese (Farnese Bull), which dates back to the 2nd century BCE, which depicts the humiliation and death of Dirce, the Queen of Thebes, carved from one massive block of marble. And don’t miss the incredible mosaics on the mezzanine, most of which come from Pompeii, including the stunning La battaglia di Alessandro contro Dario – the best-known representation of famed conqueror Alexander the Great. But nothing compares to the real Pompeii, which just outside the city, is one of the most unspoilt Roman settlements in mainland Italy. Buried by a cloud of ash when Vesuvius erupted in 79CE, the devastation caused by an exploding volcano is perfectly preserved for all to see – including the spooky casts of bodies found of those unable to escape. Highly recommended is a guided tour of the site, as this will ensure both expert knowledge and a sense of wonder. Tour the ruins of the Forum, the Temple of Apollo, the theatre and the gladiatorial arena, among others. You can also see the impressive Temple of Jupiter, where the massive Head of Jupiter which now sits in the National Archaeological Museum, was excavated when Pompeii was rediscovered. The excavations here have yielded an amazing amount of information on the daily lives of Romans, more so than other digs, from the sheer number and varying types of artefacts found. Students will love this ancient settlement, as it seems like stepping back in time, to the apex of Roman civilisation. As the Bay of Naples is the most densely populated volcanic region on Earth, it would be rude to come all the way here and not see the major attraction – Mount Vesuvius. 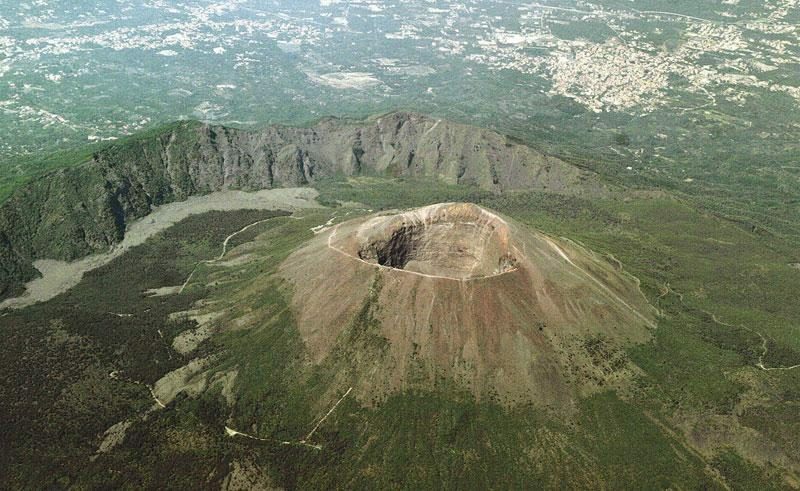 Previous to its famous eruption, Vesuvius was a different mountain, covered in vegetation and with a far greater height than now, few people knew they were living in the foothills of a monster. So, it seems strange now to think that almost three-quarters of a million people again live in its environs, choosing to ignore the huge geological hazard on their doorstep. Probably because the land around is so fertile (your students can visit vineyards and farms that utilise the volcanic soil) and it earns the farmers a decent profit that they choose to stay and cultivate the land. They are in for a shock if the now dormant beast decides to wake. The volcano itself is now a national park and UNESCO Biosphere Reserve– home to many plant and bird species, which can be heard singing, marking their territory, during your ascent. As famed-writer Anton Chekov once remarked, “What torture it is to climb Vesuvius! Walk, walk, walk, and the summit is still so distant!” Our top tip is to come early in the morning, to beat the crowds but also so your students avoid the trek up in the mid-day heat. Although the inside of the crater is off-limits, the caldera is still fantastic and the 200-metre views into the depths of the crater are especially rewarding, for both geographers and tourists alike. 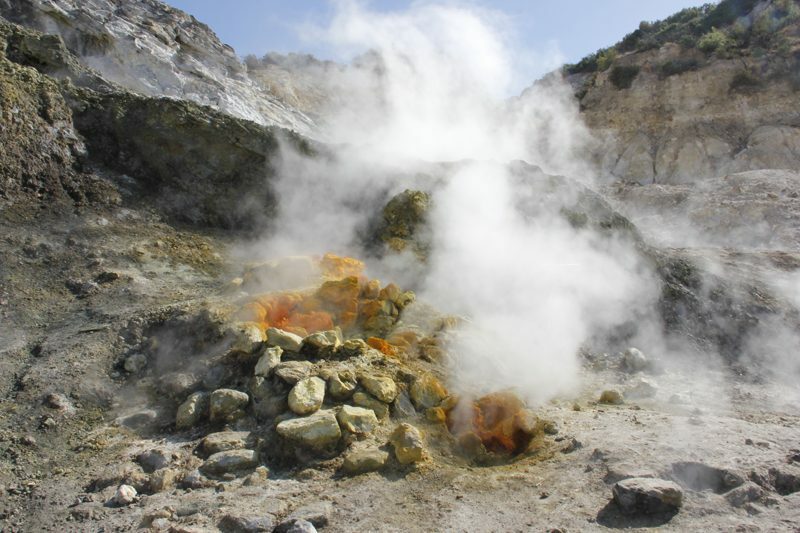 You’ll see billowing fumaroles, leaking noxious gases, and even some hardy plant species making the most of the mineral-rich atmosphere. On the way back down the mountain, why not travel through the aptly-named Valle del Inferno (Valley of Hell), to gain an alternative perspective of Vesuvius? 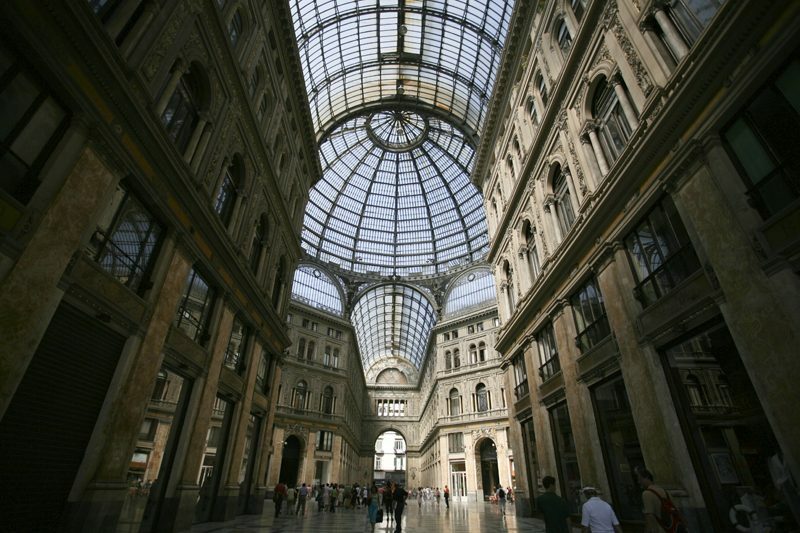 Naples is a superb city, with something different for each group, be it culture or geography, or even a bit of both. Visit discover-education.co.uk/Italy to find out more of what tailor-made trips we can offer to your school.